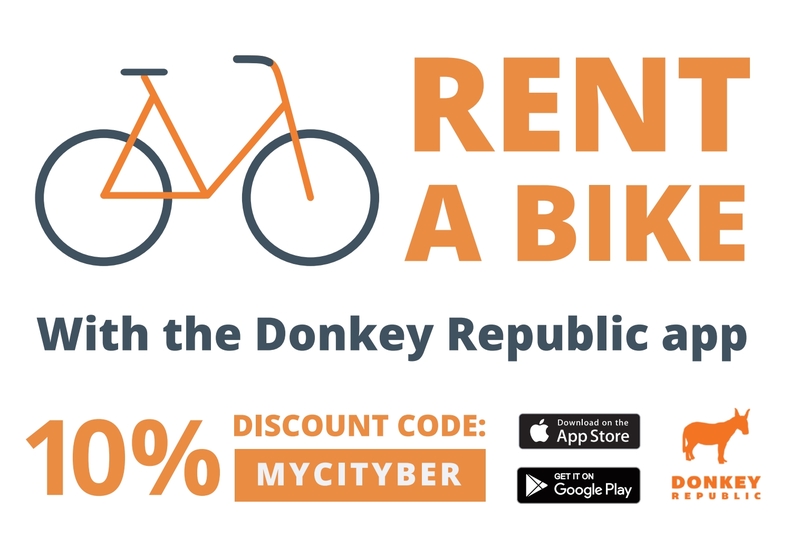 Get 10% discount on 24/7 available Donkey Republic bike rental. Just download the Donkey Republic app and follow the instructions. To benefit from the discount simply enter the voucher code MYCITYBER before payment in the corresponding field.